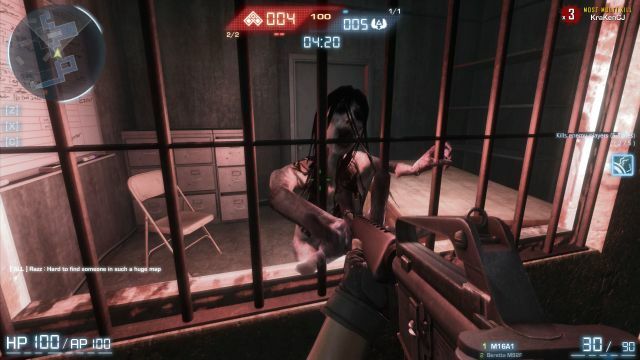 So recently, Aeria Games announced that their horror FPS title F.E.A.R. Online would be seeing an open release on October 8th, with a full release sometime this October 17th, and I was lucky enough to get invited to a press release run for the game. Just to let all my readers know: I’ve never been too big into the F.E.A.R. series as a whole, but I absolutely LOVED the first F.E.A.R. 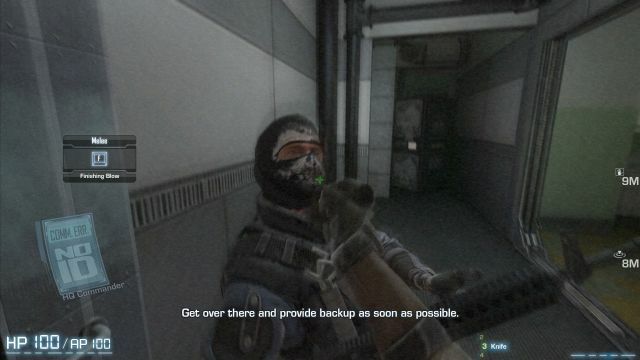 game, as well as its multiplayer standalone title “F.E.A.R. Combat.” And with Halloween rolling around, I needed something to get me nice and spooked. Unfortunately during my play session, I was anything but spooked, due to the lackluster gameplay and even more lackluster presentation. As the title suggests, F.E.A.R. Online is directly tied in with the series as it takes place sometime after the events of F.E.A.R. 2: Project Origin, and players are place right into the middle of a major monster outbreak between the ATC and a mysterious military tactical unit that’s trying to stop the madness happening around the city, as well as deal with the unnatural psionic being named Alma Wade, main antagonist for the F.E.A.R. series. That’s the basic jist of the story mentioned on the website, but when stepping inside the game for the first time, I cannot for the life of me see how any players would feel any real connection to past F.E.A.R. titles other than brief appearances from Alma during the tutorial and some multiplayer matches. Speaking of which: The first tutorial for F.E.A.R. Online starts off very cinematic-like as the player wakes up in a bloody laboratory room on a blood stained cot as Alma shows up to give the player a “friendly” hello. Afterwards, players are thrown head long into a conflict against black ops soldiers and zombie-like freaks. It doesn’t take too long to get through the tutorial since it doesn’t introduce anything out of the ordinary compared to FPS games. And that’s when the game starts to lose its luster fast: It’s a stripped down version of other F.E.A.R. titles, almost to the point where it can barely be seen as a F.E.A.R. game, at least in my eyes. For starters, after completing the tutorial, I hopped straight into a live team deathmatch as an ATC member. The map I played on was some kind of destroyed prison zone that was way too bright and sunny to create any sort of creepy atmosphere, so it felt like I was just taking a happy walk through the park, while wielding an assault rifle. 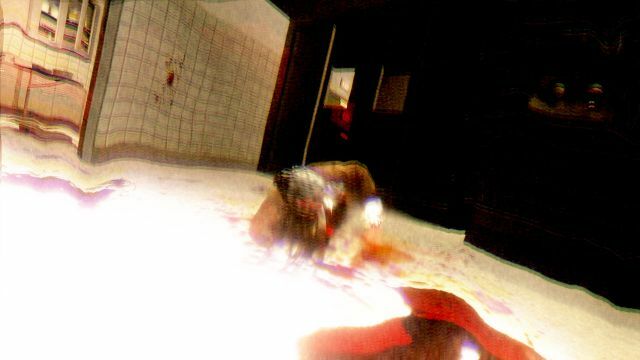 The gameplay in F.E.A.R. Online strips away a lot of known features from previous F.E.A.R. titles, most noticeably the “unarmed” combat. While unarmed combat wasn’t always the best way to handle most combat situations, it gave players something to work with for those tight close quarters’ moments, such as sweeps, slide kicks and more. In F.E.A.R. Online, jump kicking is still present and so is sliding, but sliding attacks do not seem to be possible, as I wasn’t able to trip any opponents while preforming a slide. And besides from a straight forward knife attack, melee combat was just less effective than it should be. But as some of you may be thinking: “So what if melee combat isn’t that good? It’s a freaking FPS! Shooting is all that matters!” which is true to an extent, but the shooting mechanics here are just too slow and floaty. There’s no learning fire and overall just feels less twitch-based when compared to the first F.E.A.R. game. 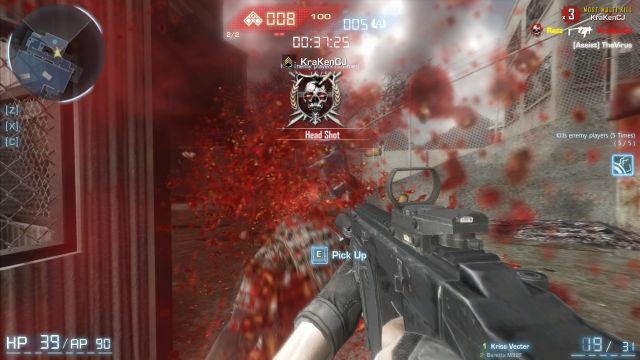 It didn’t take me very long to get used to the combat, because it just ended up feeling like every other modern FPS game out there, which isn’t a very good sign for the game’s overall appeal. The most dreadful part of F.E.A.R. Online is how badly it tries to force a scary atmosphere, especially during competitive matches. 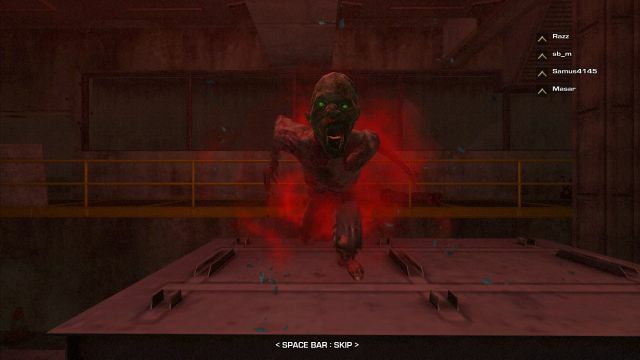 For instance, there’s an underground cell within the prison map that players can take in order to get to the other side of enemy territory, and along the way there are creepy looking creatures, as well as a vision of Adult Alma Wade that appears when the player passes next to certain prison cells. THIS kind of thing… these quick jump scare attempts, are simply not scary, or even unnerving. Personally, this may be because I’ve played so many horror games in the past that I’m desensitized to this kind of spookiness, but regardless, this is more of a distraction that has no business being in a competitive multiplayer match. It might spook a few players out the first time around, but no more than once. 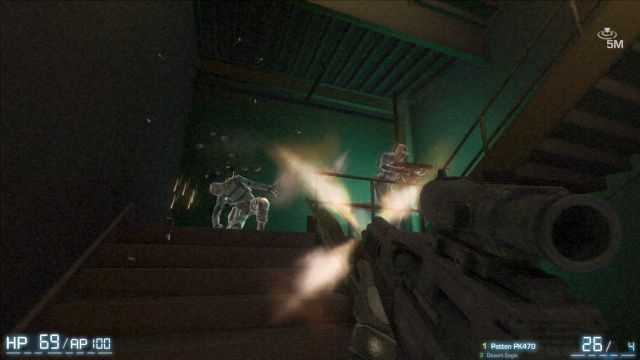 It’s even more of a distraction on maps where spookiness cannot be avoid, such as the lab/hospital map where the screen will occasionally light up and flicker while eerie ghost voices are blaring through the player’s speakers/headphones, which could possibly screw up your aim during crucial firefights. So what DOES F.E.A.R. Online have going for it? Well, I could say that the Co-op mode could have been the game’s saving grace, but currently as it stands, it doesn’t seem to present anything out of the ordinary except a ham-fisted storyline. While it comes complete with some cutscenes, the scariness factor is brought down by a metric ton because the atmosphere just isn’t dark and gloomy enough, and because the creatures that players will fight just aren’t frightening, either. Also as a small gripe: The AI in F.E.A.R. Online is dumb as bricks, and is nowhere near the quality of the AI from the first F.E.A.R. That isn’t to say that the AI in the first F.E.A.R. game was incredible, but it was very convincing since enemy soldiers would flank, take cover, retreat, corner and hunt players down rather than staying in one spot. But here, the AI is very simplistic, making every confrontation more boring than the last since they rarely try to go for cover and will mindless fire back while standing out in the open. Now there’s really not much else I can say about F.E.A.R. Online with my time spent during the press event, but as it stands, my outlook on the game isn’t so good, due to the low quality presentation and watered-down gameplay. But to be completely fair, most of my gripes with the game stemmed from my experience with the first F.E.A.R. game and it’s gameplay, as it really showcased a haunting atmosphere in a modern setting, as well has some nice, skill-based combat. Sadly, F.E.A.R. Online barely holds a candle to the first game, and I would honestly suggest that people should just pick up the first game, as well as “F.E.A.R Combat Multiplayer” for free. 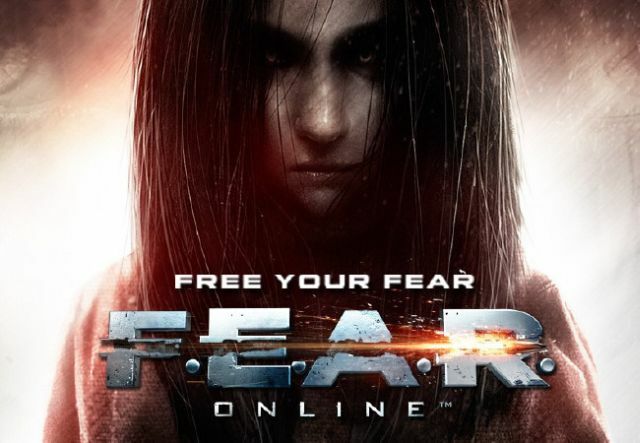 I only got to try a small amount of content that they’re planning to offer with F.E.A.R Online, so I will be giving another look at the game somewhere down the line to see if this F2P experience can live up to the F.E.A.R. name.